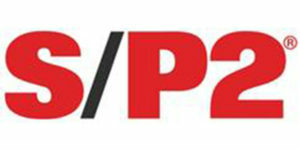 S/P2 Careers has reached another important milestone as it has surpassed 50,000 resumes in its S/P2 Careers system. The S/P2 Careers resume database is fueled by career tech students looking for full-time, part-time and internship opportunities as entry-level technicians. Of the students who have posted resumes on S/P2 Careers so far, more than 32,000 are interested in automotive service, 13,000 are interested in collision repair, 13,000 are interested in heavy-duty/diesel and 14,000 are interested in welding career opportunities. Shops can start recruiting career tech students who are on S/P2 Careers for as little as $250. Shops can search for candidates based on industry segment, geography, high school vs. post-secondary and many other filters. Businesses can reach out to candidates about opportunities at their facilities, as well as post jobs that career tech students can apply for.